The fifth commandment - Honor your mother and father. This command has far reaching implicaitons. I talked with our Student Pastor, Ryan Rouse, yesterday. Our student mission team arrived safely back to the States on Friday. They had spent 14 days on mission in Mozambique. Ryan was sharing how God moved through our team and in our team on this trip. I think he has about 1,000 photos to share with me. As we talked, it became evident that the opportunities for mission work with Samaria Missions in South Africa and Mozambique are endless. We'll be talking more about opportunities in the near future. As I sit here eating bacon and cheddar flavor chips and peanut butter cookies, I'm writing about healthy Christians. Granted, I need to be more proactive in my own physical health. As 40 draws close, the reality that this old body isn't as strong as it used to be is becoming evident. Getting glasses was one thing. I just chalked that up to working on computers. Then, being diagnosed with gout and TMJ moved me to having prescription drugs. Over the past few years I've added a few more prescriptions for different maladies. Years ago, when I was in shape, I could run, play basketball, exercise, etc. and eat anything I wanted because of my high metabolism. Then, at around age 32, something happened. Everything slowed down. I didn't exercise like I used to, yet amazingly I still ate the same foods. While I still like chips and cookies, I have changed some of my diet. Since December I no longer drink caffeinated drinks. I don't even drink carbonated drinks. That means a lot of water, fruit juice and milk. Not bad, but I miss those Mountain Dews. As pastor, I've been thinking about being healthy. Our bodies are the Temple of Christ, so there is a mandate to take care of ourselves. There's also a need to be healthy in other areas as well. The healthy Christian is the motivation for the "Four Connections" I've been promoting at church. I believe that to be a healthy believer we need to have these four connections in our spiritual diet: Small Group, Worship, Ministy and Community. I believe that the spirtual diet of most believers is unbalanced. I've even said we've become Bible study junkies. Now, I believe Bible study is vital. It should be done personally and in groups, but there's more to living the healthy Christian life than just reading. James talks about putting works to our faith. Check out our church website - www.opfirst.org - to read more about these four disciplines. If you have a chance, leave a comment letting me know what you think about this. In the meantime, I think I'll put up the cookies and chips. What does it mean to Sabbath today? I've been watching the NASA films airing now on Discovery Channel. These are incredible stories of our journey from Mercury, Gemini, Apollo and beyond. These early astronauts were truly space cowboys. It's amazing to me that we were able to strap these men to the top of converted missiles and shoot them into space. Now, of course, there are hundreds of people who believe we have never made it into the moon. YouTube even has clips of a documentary showing how the conspiracy was done. Me? I believe we made it. I believe we stepped on the moon and these space cowboys really did take the "giant leap for mankind." I've read biographies and books on these journeys. Jim Lovell's book-turned-movie "Apollo 13" is a great story of one of the potentially greatest disasters in space history. I've read "First Man," the biography of Neil Armstrong and John Glenn's memoir. All are great reads. One of the greatest astronaut stories I've heard was on a cassette tape given to me by a friend. It was the story of Apollo 16 astronaut Charlie Duke titled "Walk on the Moon, Walk with the Son." This is the story of Duke's salvation experience and how Christ saved him, healed his marriage and ultimately gave him purpose for living. During this summer full of poor reality TV shows and junk on most channels, I encourage you to watch The NASA Missions: When We Left Earth on Discovery Channel. Even my kids, who groaned when I started watching the documentary, became interested and wanted to know what happened next. 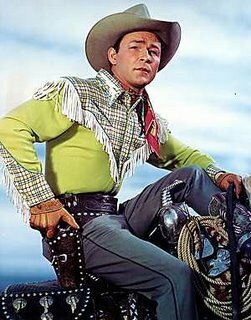 When I was a kid, one of the independent TV channels in Ohio would show reruns of the old Roy Rogers Show. I used to love watching Roy, Dale, Trigger, Buttermilk and oh yeah, Pat and "Nelly Belle" the Jeep. 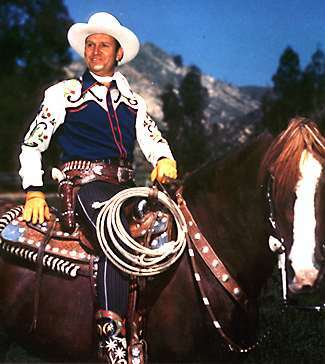 The innocence of the show, always knowing who the good guys were (they wore the white hats) and ending with Roy and Dale singing "Happy Trails" were things that drew me to it. 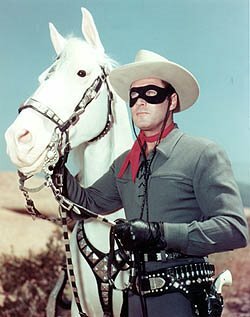 I also loved to watch The Lone Ranger, The Cisco Kid, Gunsmoke, John Wayne movies and other old westerns that were shown in syndication. 4. A cowboy is kind to small children, to old folks, and to animals. 6. A cowboy is helpful and when anyone is in trouble he lends a hand. 8. 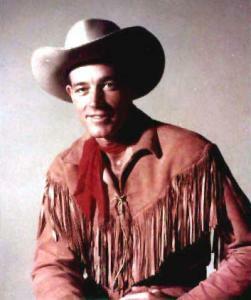 A cowboy is clean about his person and in thought, word, and deed. 9. A cowboy respects women, his parents, and the laws of his country. 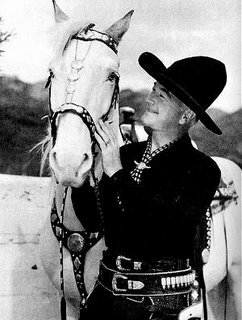 Hopalong Cassidy's "Creed for American Boys and Girls"
4. Only through hard work and study can you succeed. Don't be lazy. 5. Your good deeds always come to light. So don't boast or be a show off. 9. Our country's laws are made for your protection. Observe them carefully. 6. That "this government, of the people, by the people, and for the people," shall live always. 8. That sooner or later... somewhere... somehow... we must settle with the world and make payment for what we have taken. 1. A cowboy does not judge color of skin, but by character within. 3. A cowboy stands strong for what the American frontier is all about: Freedom, Truth, Justice and the American way. 4. A cowboy will not be wronged, nor wrongs another. The justice he deems out depends on that. 5. A cowboy is loyal, and hard working and maintains a high ethic. 6. 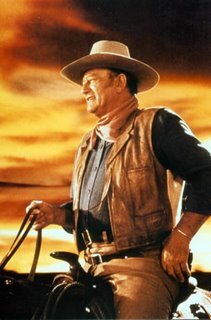 A cowboy loves his country, and will fight for it's principles and sovereignty. 7. A cowboy respects his animals and the earth they roam upon. 8. A cowboy is faithful to what is entrusted to him. 9. A cowboy is bound by duty, honor, and gratitude for what God has given him, which includes his friends and family. 10. A cowboy maintains a hidden code in his heart, for all to see. 1. I will be brave, but never careless. 2. I will obey my parents. They DO know best. 3. I will be neat and clean at all times. 4. I will be polite and courteous. 5. I will protect the weak and help them. 6. I will study hard. 7. I will be kind to animals and care for them. 8. I will respect my flag and my country. 9. I will attend my place of worship regularly. The third commandment is about so much more than profanity. Most of us think it's just about "cussing" but it's not. Now, I love to hear Louie Giglio preach. I've been reading his writings, listening to his messages and even went to 7:22 in Atlanta a few years ago when he spoke. I have the Passion CDs and know that Louie has been used by God to reach the collegiate generation in our country now, even throughout the world. Then, in the past few weeks I started receiving e-mail forwards from people in our church. At first it shocked me because the e-mails weren't coming from the demographic who know Louie Giglio. I was receiving these from senior adults, people my age and others who have never heard of Passion, North Point, 7:22 or Choice Ministries. So, I finally clicked the link and watched the YouTube clip. It's about laminin. Never heard of it? Me neither. It's worth a watch. 1. We are struggling and people are now seeing that reality. 2. The answer is not more fighting, but a clearer focus on the gospel. 3. The divisions are hurting and not helping. 4. Younger generations need to be reclaimed. My friend Ted Traylor has been on the blog. He gave the tremendous nominating speech for new SBC President Johnny Hunt. I've talked to Johnny and have heard his heart and his passion (and was glad to have his permission to share the first official news of his candidacy here on the blog). I believe he will do well and plan to offer him every help I can. Over dinner tonight, Troy Gramling asked me tonight if I was encouraged. And, I realized that I am-- more than I have been in a while. There is much work to do, but I believe we are a step closer today. I believe that the convention is speaking loudly and many are listening. Today I am coming home from Indianapolis after attending the annual meeting of the Southern Baptist Convention. I leave very encouraged and hopeful. It has been a very good week. We have been encouraged and blessed. The schedule has been rigorous. I mean it has been crazy, being able to sleep very, very little each night. The International Mission Board report last night was fabulous. Oh my friend - it is powerful what God is doing worldwide through the work of the IMB. Our weekly giving supports all of this global spiritual movement. It is really, really exciting. We come away from this convention after electing Dr. Johnny Hunt as our new President. He is a very close brother. I called a prayer meeting with a few close friends before the election, praying over him and Ted Traylor, his nominator. Dr. Traylor was very powerful and influential, and, most of all, anointed by God to do it. Oh my friends, the Lord was with this entire experience. The Lord has raised up Dr. Hunt to lead our denomination. We have had some great moments this week with those two men and others. Thank God for friends. From the Associated Press. . . Opening its two-day annual meeting, the Southern Baptist Convention elected a new president, Georgia megachurch pastor Johnny Hunt, a theological conservative. He is of American Indian descent, a biographical detail that might help the convention reach out to minorities. Hunt, 55, said he will seek to reverse troubling trends, including a decline in membership. Hunt is a Lumbee Indian, a North Carolina-based tribe. Convention officials could not immediately confirm whether he is the denomination’s first American Indian president. At a news conference, Hunt said radical change and leadership are needed. After five decades of declining growth, the SBC reported an actual drop in membership -- a decrease of about 40,000 people from 2006 to 2007. Seven out of the last eight years, baptisms have decreased, a more important statistic to many Southern Baptists than membership. Hunt said he would try to unite Southern Baptists around common causes and use his experience mentoring younger pastors to reach out to a younger generation. “We come across almost only for what we’re against when there’s so many wonderful things we’re for,” Hunt said. Overall, I must agree with others. . .I am encouraged about where we are headed as a convention. Dr. Hunt's passion for reaching people with the life-changing message of Christ is evident and his passion for ministering to others in pastoral ministry is well-known. The reality is that we can no longer sit on our laurels or successes of the past. The Great Commission and Great Commandment still push us to more. The culture has changed, and is changing. Methods have changed and will continue to, but the truth is people still need Jesus and our motivation to reach them must be stronger than ever. Our Southern Baptist Convention took place this week in Indianapolis. In the past, tens of thousands attended these meetings. Since the conservative resurgance years ago, attendance has dwindled at these meetings. I believe only around 7,000 attended this year's meetings. INDIANAPOLIS (BP)--Johnny Hunt, pastor of First Baptist Church in Woodstock, Ga., was elected president of the Southern Baptist Convention on the first ballot, leading a slate of officers that included two new vice presidents and two re-elected secretaries. Bill Henard, pastor of Porter Memorial Baptist Church in Lexington, Ky., was elected first vice president, and John Newland, pastor of Fall Creek Baptist Church in Indianapolis, was elected second vice president. John Yeats, director of communications for the Louisiana Baptist Convention, was re-elected SBC recording secretary -- a position in which he has served since 1997. Jim Wells, director of missions for the Tri-County Baptist Association in Nixa, Mo., was re-elected registration secretary for the sixth consecutive year. John Marshall, pastor of Second Baptist church in Springfield, Mo., was elected to preach the convention sermon at the 2009 annual meeting in Louisville, Ky. Larry Wynn, pastor of Hebron Baptist Church in Dacula, Ga., was elected as the alternate preacher, while Scott Allred, minister of magnification at Hunter Street Baptist Church in Hoover, Ala., was chosen as the music director for next year's convention. Five candidates in addition to Hunt were nominated for president: Frank Cox, pastor of North Metro First Baptist Church in Lawrenceville, Ga.; Avery Willis, retired senior vice president of overseas operations for the SBC's International Mission Board; William (Bill) Wagner, president of Olivet International University in San Francisco; Les Puryear, pastor of Lewisville Baptist Church in Lewisville, N.C.; and Wiley Drake, pastor of First Southern Baptist Church in Buena Park, Calif.
Out of the 5,856 ballots cast for president, Hunt received 3,100 votes (52.94 percent); Cox, 1,286 (21.96 percent); Willis, 962 (16.43 percent); Wagner, 255 (4.35 percent); Puryear, 188 (3.21 percent); and Drake, 45 (.77 percent). According to Traylor, Hunt's heart for the nations has been demonstrated in his church's mission giving and participation. Last year alone, First Baptist gave $3.3 million to Southern Baptist mission causes, Traylor said. Over the past 28 years, First Baptist has been responsible for planting 78 new churches, Traylor said. He added that during Hunt's time at Woodstock, the church has seen hundreds of people surrender to full-time Christian ministry and mission service. Hunt's heart for the next generation, Traylor said, has been illustrated through his Timothy Barnabas conferences, which have reached 25,000 young leaders during the past 20 years. Of the 2,387 votes cast for first vice president, Henard received 1,748 (73.23 percent) on the first ballot, defeating John Connell, pastor of Calvary Baptist Church in Savannah, Ga., and Crist Camden, retired pastor of Oconee Heights Baptist Church in Athens, Ga.
Connell received 377 votes (15.79 percent) while Camden received 224 (9.38 percent). Only 33.07 percent of registered messengers cast ballots in the first vice presidential election. Henard was nominated by Kevin Ezell, pastor of Highview Baptist Church in Louisville, Ky.
Ezell cited Henard's godliness and generosity as reasons why messengers should elect him first vice president. "He sacrificially gives to his church and has led his church to be a sacrificial giving church," Ezell said. "They give consistently over 15 percent to the Cooperative Program. And this year Porter Memorial is celebrating giving over $7 million collectively to the Cooperative Program in the life of that great church. Also he is a giver to the state of Kentucky. He currently serves as the president of the Kentucky Baptist Convention." Henard is also a "goer," Ezell said, sharing his faith frequently and teaching others to do the same as assistant professor of evangelism and church growth at Southern Baptist Theological Seminary. He has taken numerous mission trips in the United States and abroad, Ezell said. Henard serves as chairman of the board of trustees at LifeWay Christian Resources of the Southern Baptist Convention in addition to having chaired the search committee that brought President Thom S. Rainer to LifeWay, Ezell said. Newland defeated Doug Mulkey, pastor of Mt. Zion Baptist Church in Canton, Ga., in a runoff election. Newland received 470 of the 807 votes cast (58.24 percent) while Mulkey received 332 (41.14 percent). On the first ballot Newland and Mulkey each received 769 votes (30.24 percent) to force the runoff. SBC President Frank Page said June 11 that the election marked the first known tie in an officer election in convention history. On the first ballot, Brian Fossett, an evangelist from Dalton, Ga., received 582 votes (22.89 percent) and Jim Hamilton, executive director of the Dakota Baptist Convention, received 381 (14.98 percent) out of 2,543 cast. John Rogers, missions/evangelism team leader for the State Convention of Baptists in Indiana, nominated Newland, calling him a Bible-believing, evangelistic leader. Newland served on the team that developed the strategy for Crossover Indianapolis at this year's convention and will provide valuable leadership for Crossover Louisville in 2009, Rogers said. Yeats was the only nominee for recording secretary and was elected when Wells cast the ballot of the convention for him. Tommy French, pastor of Jefferson Baptist Church in Baton Rouge, La., nominated Yeats. "John is one of those outstanding leaders that I've known for many years," French said of Yeats. "He is a man of biblical integrity, bold faith and exceptional skills. And since the Lord has brought him to Louisiana to our state convention, we've seen some marvelous things happen." French also pointed out that Yeats completed a doctor of ministry project at Midwestern Baptist Theological Seminary, studying the role and responsibilities of the recording secretary. "He has the technical and organizational skill required to do this work, and he knows what it takes to get that work done," French said. Wells, the only nominee for registration secretary, was re-elected when Yeats cast the ballot of the convention. When Randall James nominated Wells, he lauded Wells' service as both a pastor and denominational worker as qualifying him for the office. "He's a godly man," James said. "He's a humble man, and he's served the convention faithfully the last six years. He's made some significant improvements, including express registration as well as online registration. He has blessed the registration process."